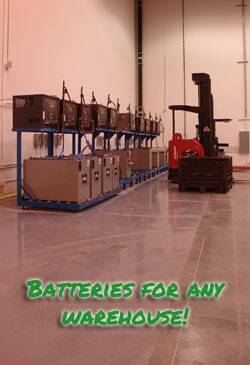 What has been done to a GPB reconditioned forklift battery? GPB reconditioned forklift batteries are used batteries that are processed through a unique 18 step process which delivers high quality and reliable results! 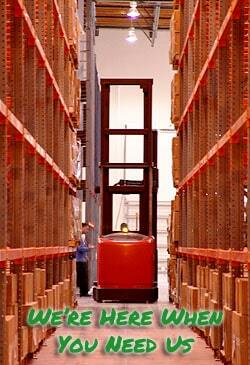 Here we wash the forklift battery with water and acid neutralization chemicals. This helps provide clean and safe working conditions and also takes away eventual ”creep currents”. we find and fix the high resistance parts of the battery, apart from eventual cells. With two high current short cycles ”New sulfate crystals” are removed, which only leaves the bigger and more stubborn sulfate crystals, this is especially important when analyzing a forklift battery that has not been in recent use. 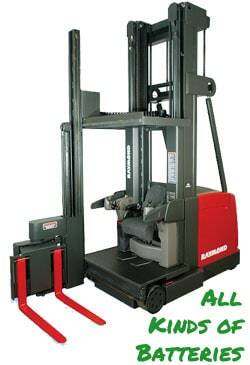 We measure all the cells OCV och SPGR when the forklift battery is fully charged and thereafter perform a full load test thereby measuring the forklift battery’s Ah capacity and study the results. If differences in cell capacity are encountered during the load test an equalizing charge with low current is applied. In this step we do a quicker load test to evaluate the results of the equalization charge to see is it proved sufficient or if other action is required. In case the equalization charge did not suffice and a minority of cells are too ”strong” we disconnect them from the circuit and the rest of the forklift battery is charged without them. In case the equalization charge did not suffice and a minority of cells are too ”weak” a circuit is built with these cells and they are charged apart from the forklift battery. If the difference between cell capacity still is too large then there remains no other solution than a cell change. This step is the most important of all for capacity maximization of individual cells och destroys even the most stubborn sulfate crystals and returns them to their active state; sulfuric acid. The plates are also cleaned from other high resistance pollutants. This step takes 72 hours. The battery is then charged with constant current to its maximum capacity in order to restore any lead sulfate particles that may be drifting in the electrolyte to their active state. In this test we compare the SPGR with voltage under load to see which cells (if any) are in need of an acid adjustment. Sulfuric acid is added to some cells in order to even out cell voltages under load. In this step we even out cell capacity with an additional equalization charge and mix the eventually added acid with the electrolyte. One last load test is done in order to ensure that the forklift battery has an acceptable capacity and that the cells perform evenly. The forklift battery is delivered fully charged, however we recommend that the forklift battery still be charged before use in order to ensure maximum performance. 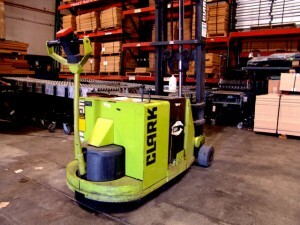 The forklift battery’s casing is sanded and all corrosion is removed, then the forklift battery is painted with anti corrosive and antioxidant paint, once the paint dries, stickers are added, the forklift battery is wrapped in a protective plastic film and is placed on and securely fastened to pallet. Now the forklift battery is finally ready for shipping.